5 Star Limo Service For Over 10 Years! Our company has been serving the Dallas Fort Worth Metroplex for over 10 years! We are committed to offering the best service with new limousines, sedans and SUVs. If it's a night out in a limousine or transportation to the airport, All Ready Limousine Services has what you're looking for. Our drivers are the best. We all take pride in making your occasion, one to remember. Our clients' happiness is our number one goal. Attitude and attention to detail are very important here at All Ready Limousine Services. We strive to give the best limousine service available to all our clients and maintaining our 5 star service for all of our passengers is extremely important to us. From birthday parties to High school proms, whatever the occasion, we have all of your limo needs covered. With over 10 years experience in the Dallas Fort Worth area and over 500 satisfied customers, and counting! ﻿﻿﻿﻿For all your transportation needs, we do our best to make your experience, one that you will not forget. Being one of the leading companies in the DFW area, we have everything you need from the 8 passenger Lincoln limousines, to the 28 passenger party bus and bigger. Our goal at All Ready Limos is to provide our clients with their transportation needs by listening to them. You tell us what you want and we will do the best job possible at meeting that desire. Trust and integrity are hard to come by these days, but we stand on those words in every aspect of our growing business! 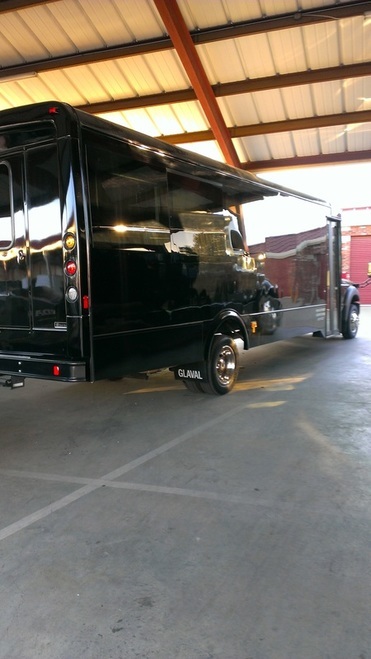 We have one of the biggest fleet's in the Dallas Fort Worth metroplex! We pamper our clients and groups of all sizes with safe and stylish transportation services to and from the airport, weddings, proms, corporate functions, sporting events, and everything in between. We have been serving the Dallas Fort Worth Metroplex since 2003. 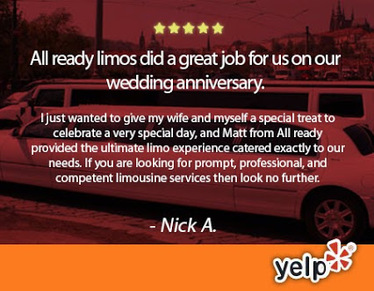 We have had countless repetitive clients come again and again due to our superior limousines and exceptional customer service. Our goal is to make you a satisfied customer, and we look forward to that opportunity to show you. We strive to make your transportation needs as simple as possible by being available 7 days a week! Call now and book your limo with the best limo service in Dallas Fort Worth!! We have the very best selection of party buses that you and your guests will feel like royalty in one of these luxurious automobiles. When you pull up to your event in one of our party buses, you will be filled with pride and satisfaction, and others will take notice. We have new limousines and party buses, therefore giving our clients the latest technology. All of our party buses are registered with the Department Of Transportation (DOT).